This Hampton Style home turned out better than we could have hoped for. With quality inclusions, useable design and dream clients, this home was a pleasure to build. Entering the hallway you are greeted with v-joint lining boards to lead you through to all of the rooms. There are 2 bathrooms, 3 bedrooms, a media room with a double sided fireplace through to the lounge and kitchen area. With an A-frame gabled roof above the Alfresco area with solid timber beams, it provides a picturesque view to the rear of the property that includes an inviting lap pool and gorgeous garden beds within the retaining block walls. Nestled behind the trees adjacent to the golf course, the owners have their private little oasis. After more than two years away, we are well and truly rested. We have hit the ground running as building in the south coast is booming! Already filling up for the year, if you'd like a new home, a renovation or a commercial premises, gives us a call or send us an email now. 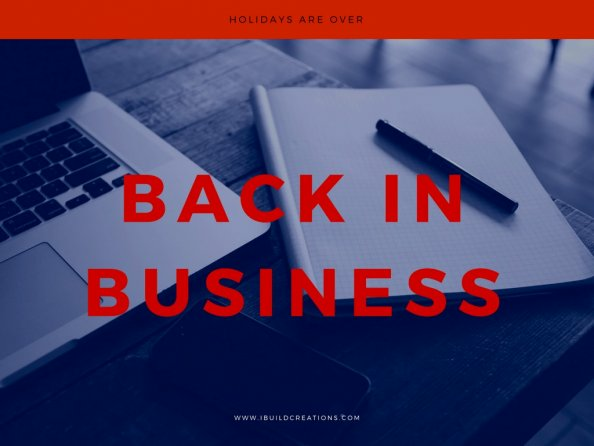 It is time for us to take a well deserved extended vacation. We have packed up our things, bought a caravan and will travel around Australia for a year or two. We will still have our mobile phones and email, so if you're interested in a new home or renovation, please don't hesitate to contact us. If we are unable to help, we can put you in touch with people who can. We've had a busy time completing a new home and a major addition over the last few weeks. 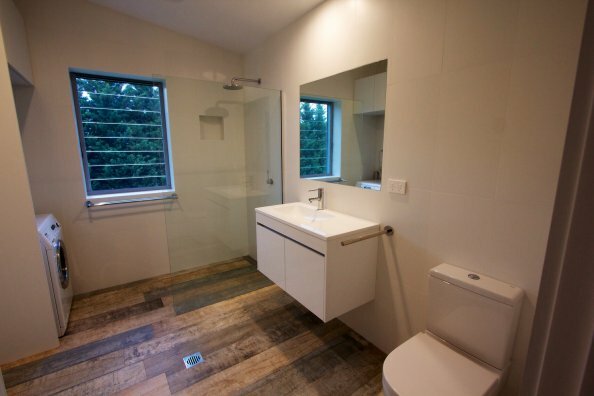 Here is a photo of a laundry/guest bathroom that has an amazing timber look tile on the floor, with quality fittings. National Carpenters Day was celebrated in style with a game of golf at Mollymook Beach with the Ibuild Team and and a couple of subcontractors. The Inaugural Golf Match was won by Shaun Dickson, 2nd place went to Anthony Walsh and 3rd place went to Mitch Grace.